Bless the rains down in Africa! Pack your bags and get ready for the spectacular wildebeest migration across African parklands of the Serengeti and the Masai Mara with this month on month guide. 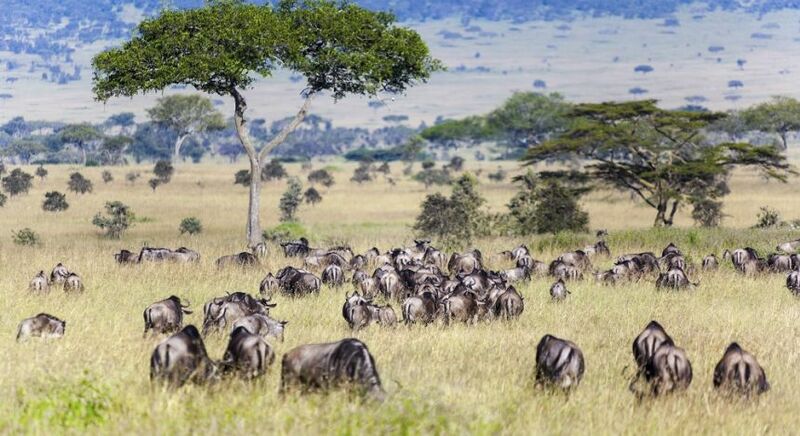 Wildebeest migration patterns are a fascinating ritual that plays out across the vast plains of the Serengeti and the Masai Mara in East Africa along an ancient circular route. The great migration of wildebeest follows the circle of life of the hordes of wildebeest (or gnu), zebras, and antelope as they seek greener pastures beyond. On your Masai Mara or Serengeti safari, expect to encounter the arrival of millions of grazers on fresh grasslands, hungry predators on the prowl, and dramatic river crossings. Time your vacation for the great migration, the likes of which you may have never seen before. Imagine being present right in the middle of all the action, with horizon to horizon packed with savanna wildlife! 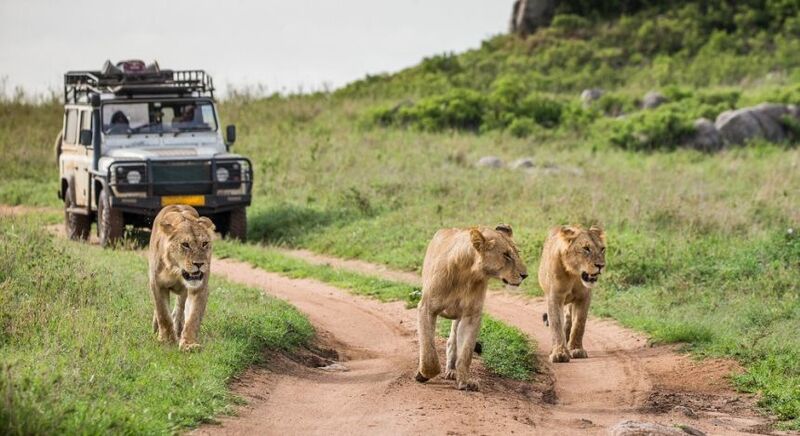 Imagine your early morning game drives when gnus, zebras, antelopes and deer cross over your path in great hordes. The vast plains teeming with life, keeping time with shifting rainfall patterns. Plan your game drives in Kenya or Tanzania safari in tune with these possible herd movements during the great wildebeest migration. With the short rains come fresh grazing grounds. Following the rain, the herds move into the Serengeti from the now denuded grasslands of the Masai Mara. 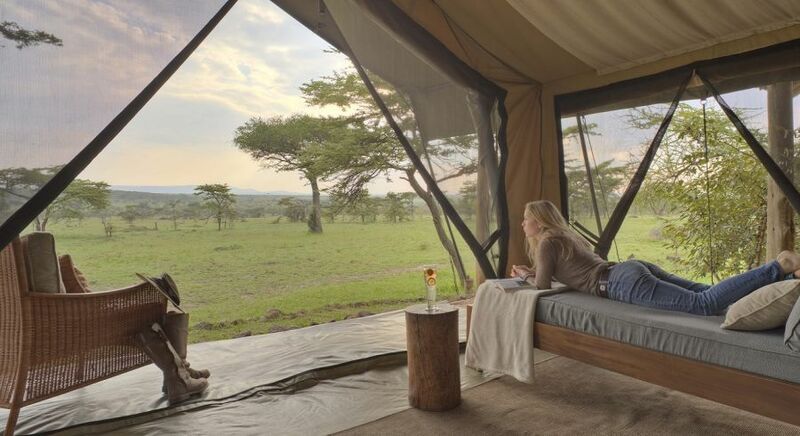 At Dunia Camp C: Set between the Central and Southern Serengeti plains, it offers spectacular game viewing opportunities on your Tanzania safari. 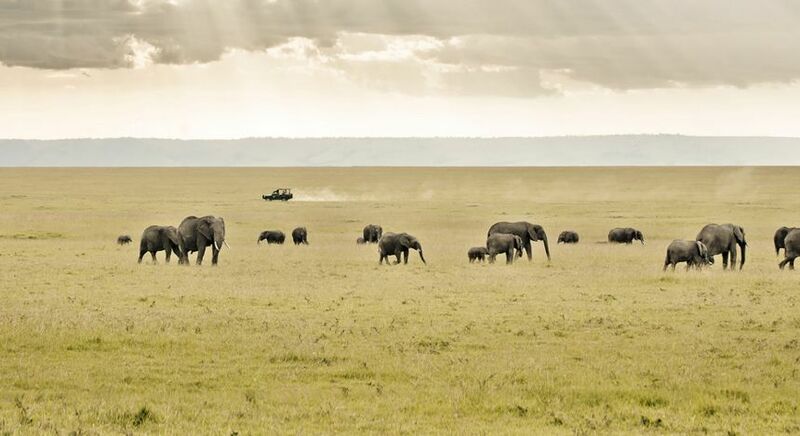 By now the herds cover the Central and Eastern Serengeti. New life is about to begin for the herds, as the predators sense fresh prey too. 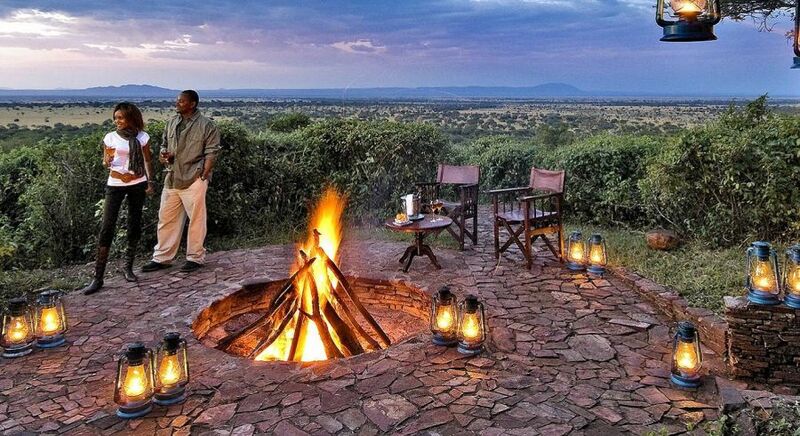 At Nieleze Serengeti Camp: It’s located on a small hill overlooking the vast lowlands of Serengeti National Park. 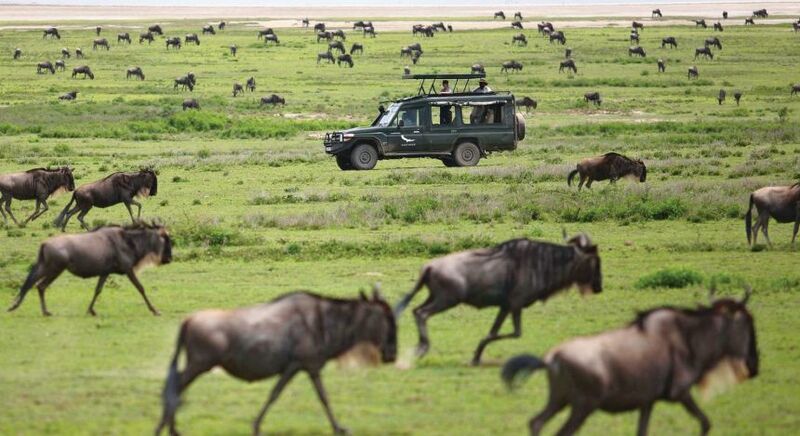 The vast herds move southwards, flooding Southern Serengeti and the areas around the Ngorongoro Crater. The calving season has just begun, prepare to meet new babies who begin running as soon as they are born! At Kimondo Camp: This camp adapts to wildebeest migratory patterns and moves to where the action is. This time of year, it is located in the Southern Serengeti where you get to see the magical calving season of wildebeest and zebras. This is a time of great bounty for lions, leopards, cheetahs and hyenas. The calving season is here in earnest, and the predators move in for fresh kills after the slim takings of the dry months. 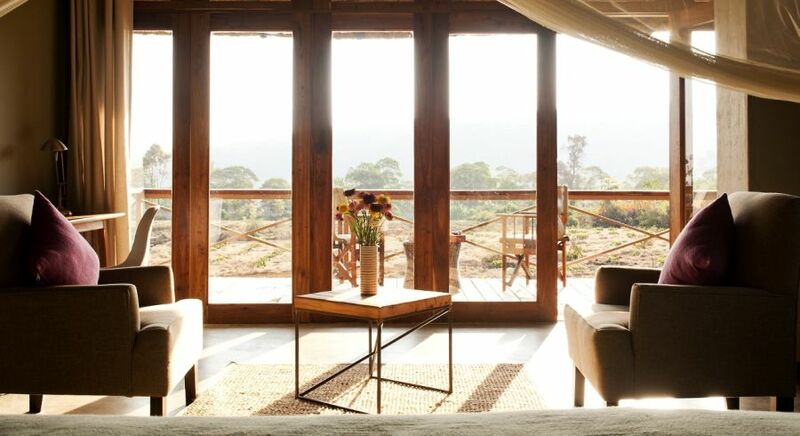 At The Highlands: This is an ideal base for wildlife and nature enthusiasts keen to explore the Ngorongoro Crater and for uninterrupted views of the Serengeti plains. The herds gather and all the new-borns are now ready to move on from the now denuded, southern plains of the Serengeti and Ngorongoro Crater. At Kitela Lodge which has idyllic views of coffee plantations, waterfalls and the Ngorongoro Crater. The long rains start around this time. This is when the great wildebeest migration begins with its earth-shaking impact! Make sure you’re on your Serengeti safari, ready to welcome the hordes. At Mbuzi Mawe Tented Camp, which has a ringside seat to the annual wildebeest migration. Set in the center of Serengeti, it is within easy reach of the southern grass plains and the Seronera Valley. 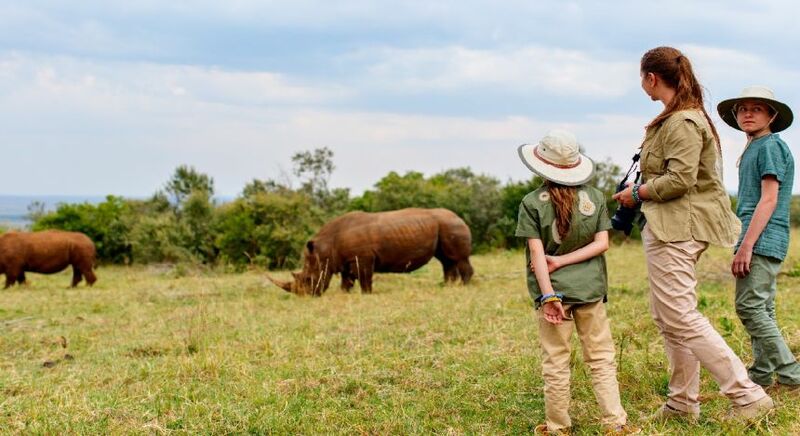 Trekking Tip: Stay at some of the best luxury game camps, preferably within the national game parks or conservancies, for the best African wildlife safari opportunities. The long rains continue as massive columns of wildebeest, zebras and antelope arrive in Western and Central Serengeti. The stage is set, get ready for the raw drama that is about to begin. 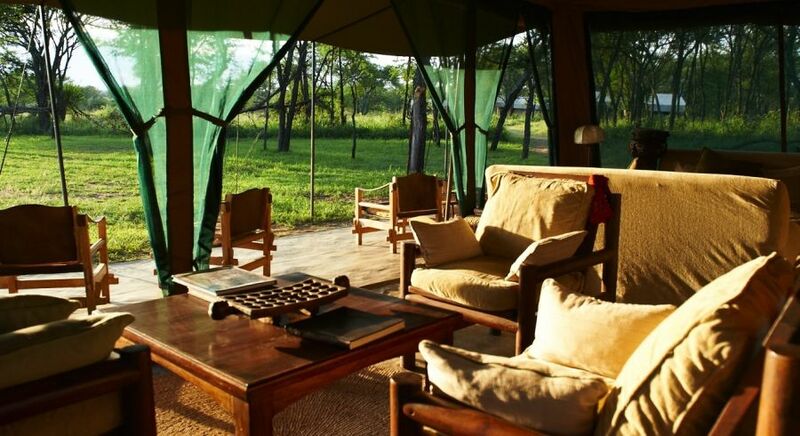 At Kirawira Camp that stands on a hilltop with stunning views over the Serengeti National Park. The great herds arrive for the Grumeti River crossing around this time. Brace yourself for their dramatic crossing through the river filled with hungry Nile crocodiles. Other local predators lurk around the corner too! At Kubu Kubu Tented Camp, which is a luxury Serengeti safari camps. 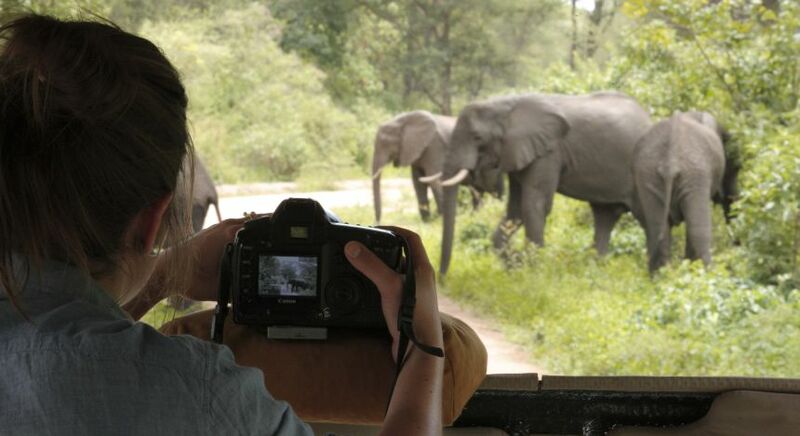 Make the most of your stay with game drives and bush walks by the Grumeti River. The herd survive yet another river crossing as they go across the Mara River from Tanzania into Kenya. Perhaps the most exciting leg of the great migration yet. At Mara Serena Safari Lodge: Located high on a hill above the Mara River, it offers you a great vantage point over the great migration. Most of the wildebeest have arrived at the Masai Mara, where the big cats lie in ambush for the pick of the arriving herds. At Mara Ngenche Safari Camp: Located within the Masai Mara Reserve, it overlooks the confluence of the Mara and Talek Rivers. Expect to encounter a zebra or two as you settle down for your alfresco bush breakfast! The huge herds graze in the lush grasslands of the Masai Mara through the month. Some of the herd hang back in Northern Serengeti. 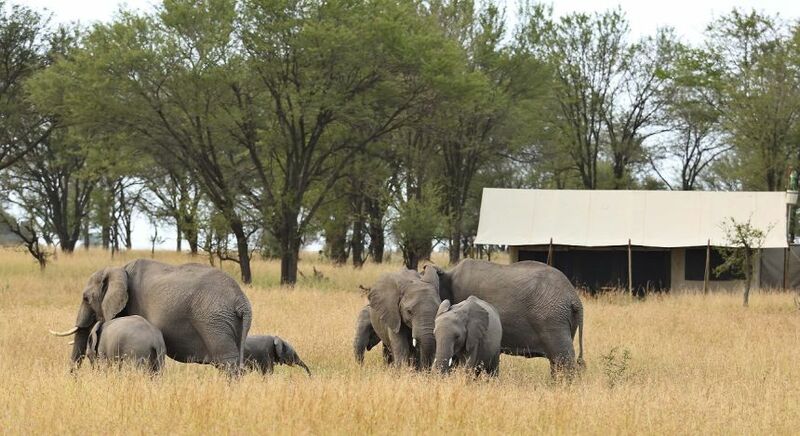 At Kichwa Tembo Tented Camp: This is a beautiful safari camp within the Masai Mara National Reserve. Enjoy the sweeping vistas of savanna grasslands from your private terrace. The rain clouds gather over the plains as the herds gather once more. 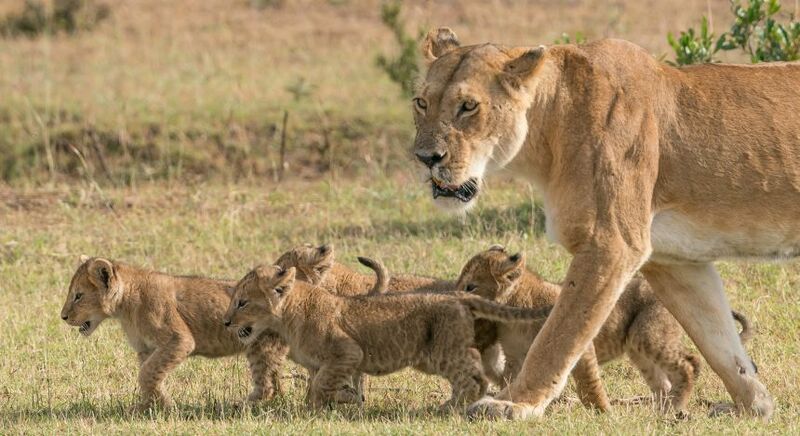 With the coming of the short rains around the next month, the herds will leave the exhausted grasslands of the Masai Mara once again and trek back to the fresh grasslands of the Serengeti. And so the circle of life will continue…. 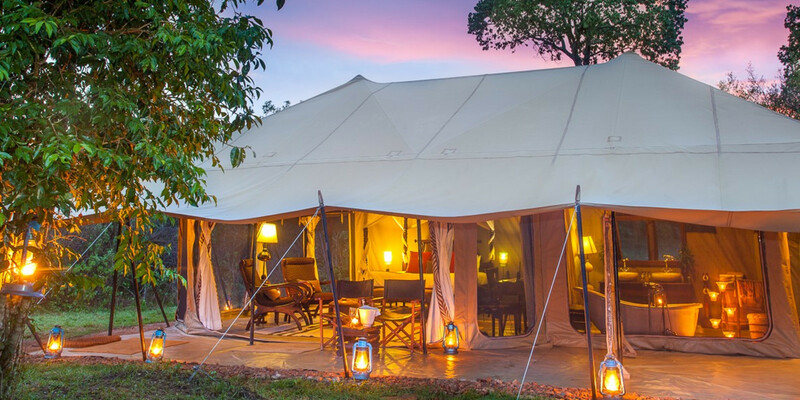 At Naboisho Camp, a luxury game camp in the private Mara Naboisho Conservancy bordering the Mara Game Reserve. 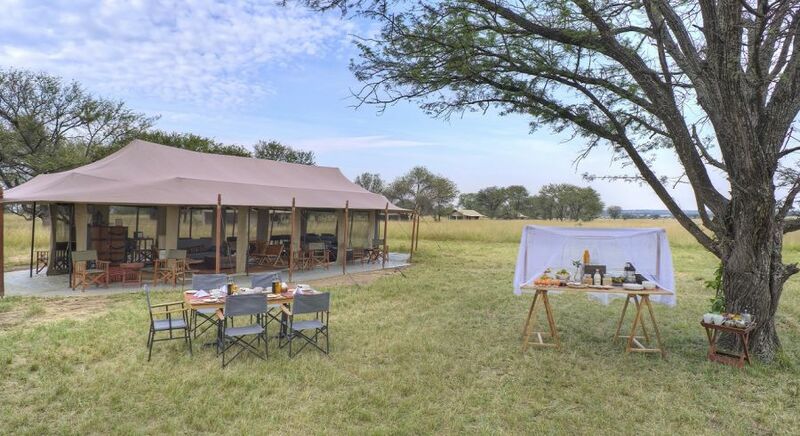 Enjoy bush breakfasts and alfresco lunches under an acacia tree, with great views of the game filled plains and local watering hole. 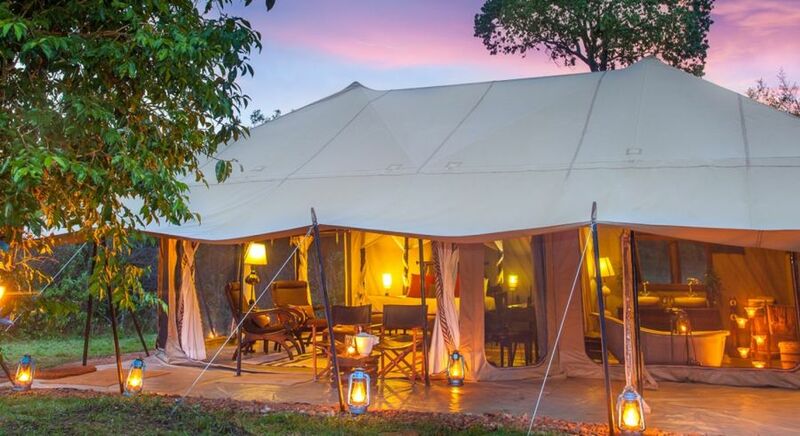 As for you, be sure to be camping at the Masai Mara around this time of the year. 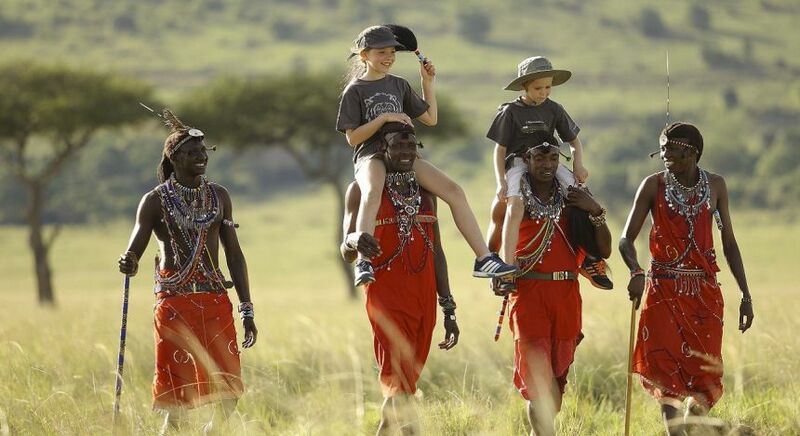 What’s more, get to know the amazing Maasai communities, the ancient custodians of these vast and ancient grasslands. Visit the local Maasai villages to learn more about their century-old traditions and their natural ways of life. 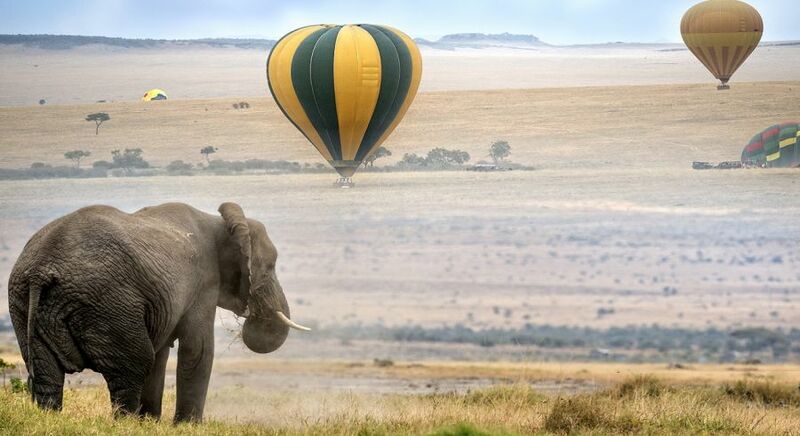 Trekking Tip: Go hot air ballooning over the Serengeti or the Masai Mara for the best views of the great wildebeest migration. The Serengeti is a UNESCO World Heritage site in Tanzania. With the annual migration of wildebeest and zebra, which lure in the big cats, the Serengeti undoubtedly has the greatest concentration of wildlife on earth. Be here to witness the great migration of wildebeest and zebras, the calving season, and the crossing at the Grumeti River. The iconic landscapes the Masai Mara are what African wildlife safari dreams are made of: endless vistas of grasslands dotted with the occasional acacia tree. All overseen by the century-old guardians of these great plains – the ancient Maasai people. Be prepared to spot all the big cats, herds of elephants, giraffe, hippos and huge Nile crocodiles, apart from the migrating herds. 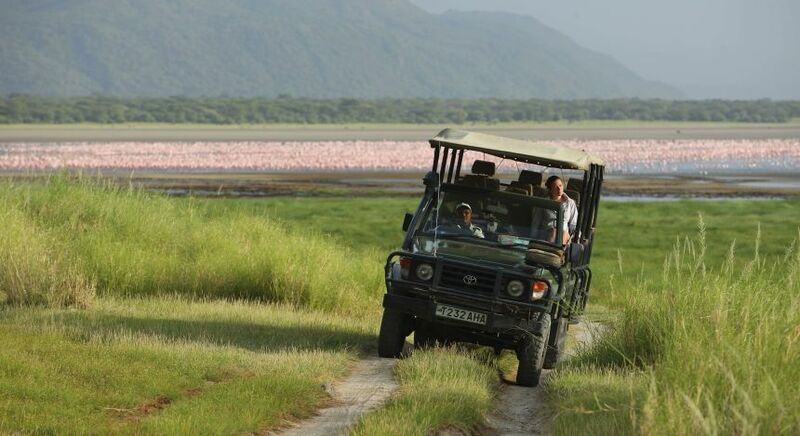 The Lake Manyara National Park, at the base of the Great Rift Valley in Tanzania, is a gateway to the Ngorongoro Crater with its dense reserve of wildlife. 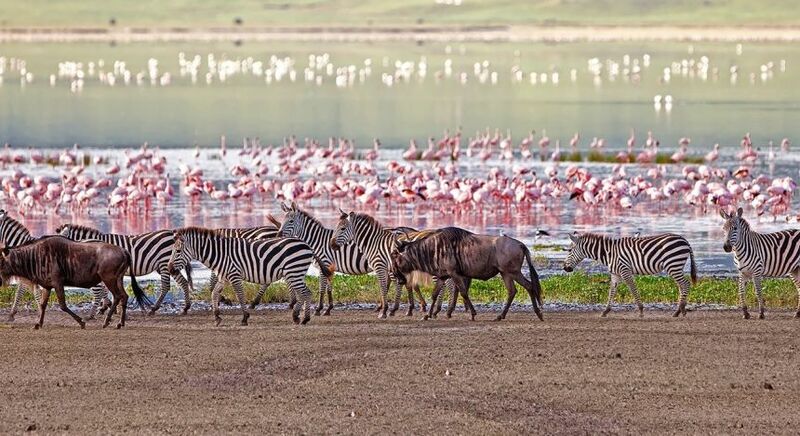 During the annual wildebeest migration, the Ngorongoro Crater attracts huge herds of antelopes, wildebeest, zebra and the big five (lions, leopard, rhinoceros, elephant, and Cape buffalo). Amazingly, the wildlife here coexists peacefully with the local Maasai communities and their domestic livestock. Design your bespoke wildebeest migration safari, tracking the animals across Africa’s iconic savannah countries with Enchanting Travels.